Gene Robinson is bishop of the tiny, rural Episcopal Diocese of New Hampshire, and was and still is the center of the controversy raging in the Episcopal Church and throughout the worldwide Anglican Communion about the role of the LGBT community in the church. Ordained as bishop in 2003, he was the first openly gay priest to be elected to this position in the Anglican Communion. His election scandalized many faithfuls, but also brought hope and self-affirmation to many people, particularly LGBT adherents. In this book, Robinson takes on the meaning of the Gospel message, espousing forgiveness, humility, and social justice. Though not an autobiography, the book does offer snapshots of his personal and professional life. We learned of the profound human dimensions of his ministry, one that sometimes stretched the span of the globe. He writes about how LGBT church members in Hong Kong organized an underground congregation, afraid of recriminations from their mainstream church. He tells us stories of the women in a prison who sew their names into vestments they then gave to him as gifts. And of course, he recalls the furor unleashed by his announcement that he and his partner of twenty-some years, Mark, planned to carry out a civil union ceremony. In weaving these personal recollections into his larger narrative of ministering to the dispossessed, the forgotten, the marginalized, Bishop Robinson calls upon all Christians to look at what they believe and how they practice their faith . He constantly asks, what would Jesus do? He urges the faithful to work with those on the edge and not judge people for how they dress, act, or think, but just love them. And he reminds us that to love our neighbor, we must begin by loving ourselves. It is not a narcissistic love, but a self-awareness of one's strengths and weaknesses. Even though I do not consider myself highly religious, and in fact, I rarely attend church services, I found myself drawn into the book. Robinson's take on the blessings of human sexuality and how it is not irreconcilable with faith in God struck me as one grounded in a nuanced perspective on the truth of the Gospels. 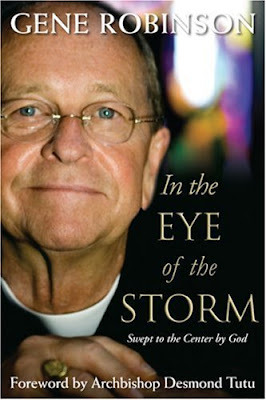 Read this book for I believe it will open your eyes to the pains and tribulations faced by so many people, and not just gays alone. It is a book for our times, for our "me" generation. It is a book that calls for healing and reconciliation, even as Christians struggle to find a new understanding of the Scriptures.